“Social media can be great tools to drive traffic, but it is the blog that will do the most to build a platform,” reported The New York Times blogger Melinda F. Emerson in “Blogging to Build Your Business“. Blogging benefits are easier to evaluate than social media, writes Emerson, because one can count unique visitors, comments, interactions, time on site, and other metrics. 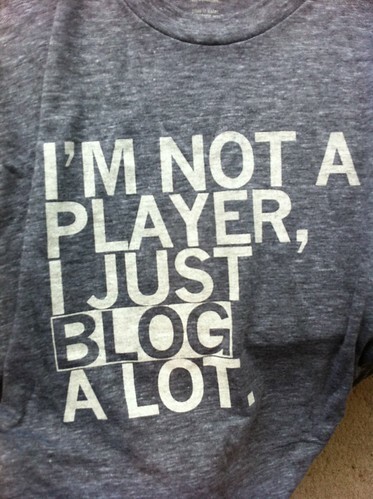 This is true, although, as we’ve noted, even blogs with minimal comments can still be very valuable to the bottom line. Oh, so true! There is no faster way to lose the love of your audience than to pull a Cyrano de Bergerac-style ruse. So, how can you build your credibility through a blog, if you’re not writing it? Simple. You hire others experts in the field to write it for you, and clearly give them credit. That’s the Six Estate philosophy behind hiring professional journalists. It is also why our Newsblogging Process teams journalists with other pros to polish every single update under your blog’s banner. What else must you do to create a business-building blog, and “get more blog for your buck”? You must be willing to give away your best content for free and engage in a continuing conversation for it to pay off for your business. In short, you must view the blog as a living part of the business, an asset that grows with time and provides real value to your customers and community. No blog, business, or brand is built in a day. Image by J. Money, used under its Creative Commons license.